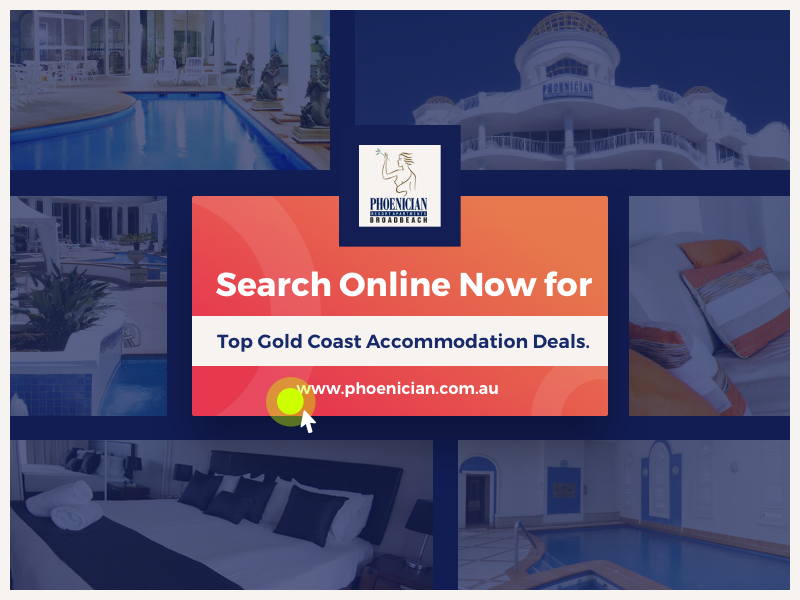 Happy holidaymakers have been booking Gold Coast holiday rentals for years, enjoying the freedom and luxury of ‘owning’ their own holiday home for a week or two. It’s all the enjoyment, without the cost and maintenance of owning property. For years, Surfers Paradise ruled the roost but, in recent years, visitors have been choosing Broadbeach holiday resorts, and there’s a good reason why. Broadbeach shares all the good things that Surfers offers, without the bad. In other words, you get the beaches, parks, cafes, attractions, shops and more, without the late night party animals! Broadbeach has somehow managed to retain its original charm and sophistication, while still providing everything you need for a great holiday. And a lot of that is down to the resorts themselves. Take the Phoenician Resort, for example. Offering AAA 4-Star quality, just 100m from the ocean, you can still enjoy peace, space and privacy. With two swimming pools, there’s no jostling for a spot, and there’s so much to enjoy, with the spa, sauna, gym, games room, BBQ areas and more. There’s a helpful Tour Desk, too, if you’d like to arrange a trip. The apartments themselves are spacious and luxurious and, due to the great deals on offer all year round, affordable. Believe it or not, right now you can grab big savings on your booking in November – and that’s a beautiful time of year to visit the Gold Coast. What’s more, there’s unlimited WiFi on offer – for a limited time only. All year round, you can book a garden or courtyard apartment and receive a huge 15% off the cost – that’s unbeatable! Especially when you are just a short stroll from the patrolled beach, cafes and restaurants, Kurrawa Park, with its colourful Sunday markets, and more. So if you’re serious about getting amazing Gold Coast accommodation deals, you’d better book now!